I decided on the orchid mantis photo above because in the one below I'm not sure what parts are the bug and what parts are the flower. If it weren't for the above photo of the same flower, I'm not sure I'd have even seen the bug parts here. 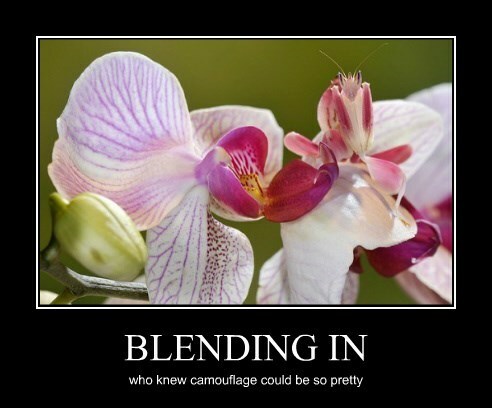 The camouflage is very effective.